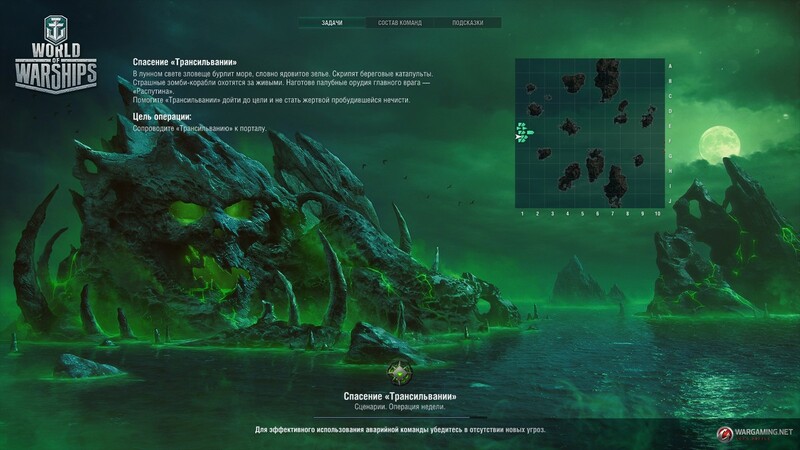 World of Warships Public test 0.7.10 will be running from Thu. Sep. 27 18:30 CEST (UTC+2) to Mon. Oct. 01 17:30 CEST (UTC+2). The Royal Navy event is in full swing in World of Warships. Having taken part in it, players can receive brand new Tier V–VIII British destroyers and be the first to try them out in battle. The remaining British destroyers are undergoing final stages of testing at the moment. You will not be able to get Sovereigns in the new version, but they can be exchanged for quite an extensive list of valuable rewards. You can also keep accumulating Guineas for Tier VIII Premium destroyer Cossack, making it available with a huge discount. 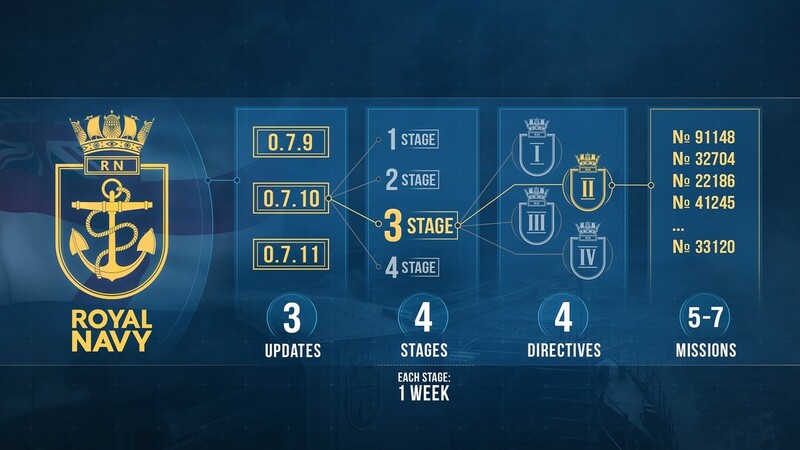 The new Royal Navy phase offers another 4 Stages, with each lasting 1 week. Each Stage has four Directives that contain a specific number of missions to be completed. Having completed a Stage, Directive, or mission, you will receive a corresponding reward, including various game items, Guineas, and new Halloween containers. You can complete the missions simultaneously, but you will only be able to access the next Directive after completing a certain number of missions from the previous one. Missions can be completed simultaneously and across any number of battles, unless indicated otherwise. Don’t worry if you are unable to complete something on the fly, because all the Directives are available for completion until the end of the Stage. The Halloween Port will welcome you with its bewitching mysticism. Its emerald waters, steep cliffs, and a majestic castle suit well the place where the Forces of Darkness reign. 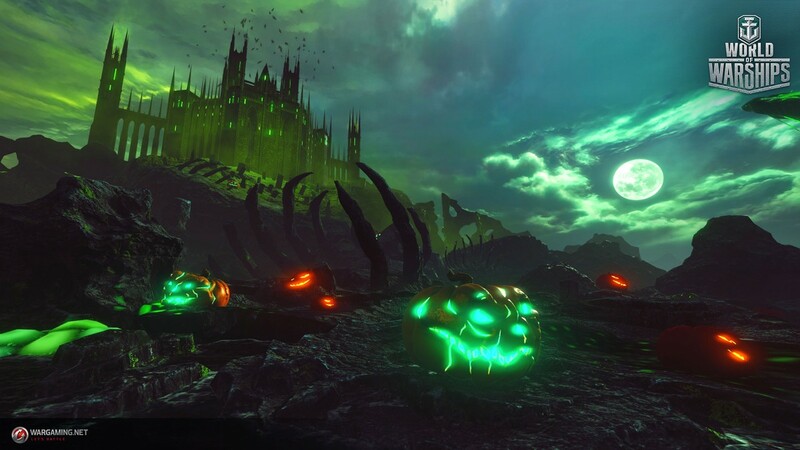 This year’s celebration of Halloween is set to bring joy to players with the return of familiar operations: Saving Transylvania and Sunray in the Darkness. To complete Operation Saving Transylvania, you will have to gather all your courage again and accompany the ship called Transylvania to a place safe from the Forces of Darkness, protecting it from the attacks of catapults and Zikasa ships along the way. However, making it all the way will not mean you are safe, because the meanest enemy awaits you at end—ship Rasputin! Sunray in the Darkness encourages players to band together against the Dark Forces that strive to break through the open portal. You will be aided by magic security towers, bestowed with power to close the portal again. Your main goal will be to protect them from a host of enemy ships. Repulse the attack of the Forces of Darkness until the portal closes and keep your eyes on the updated and advanced Filth, which will deduct your ship’s HP just by touching it. Those who consider themselves die-hard slayers of the restless Forces of Darkness will have a chance to complete the Hard version—to be played in divisions—to forge their spirit in more dire circumstances. Submarines are the long-awaited new type in World of Warships. However, they will be available exclusively in the new operation. While steering this new type, you have to master a new dimension—depth. You will be able to maneuver freely between the water’s surface, periscope depth, and deep waters. Every change in depth will affect your visibility and attack capabilities. 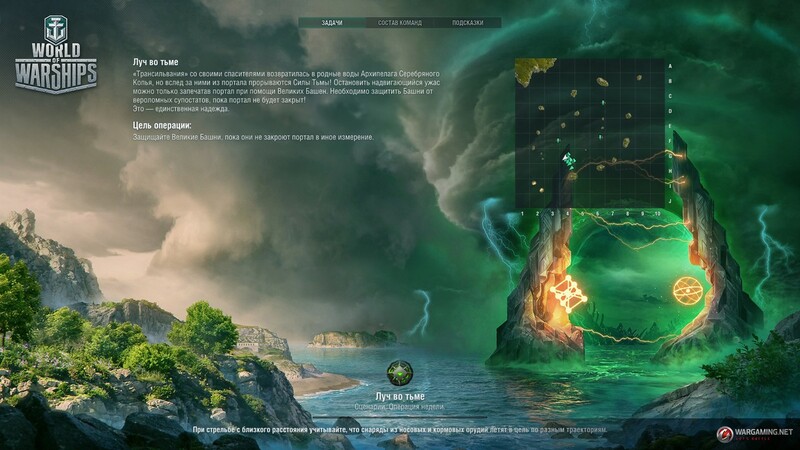 You will get a chance to see the beauty of the underwater world and use submersion as a tactical maneuver—you can attack the enemy with your bow armament, and, on some submarines, having passed your enemy underneath, deliver a salvo from the stern. Torpedo tubes are going to be your primary weapon on submarines, and each torpedo can be launched independently. Besides this, each submarine can carry different types of torpedoes. In the new operation, there are going to be two of them: “standard” with considerable speed, and that are quite familiar to you from playing on destroyers, and “freezing” torpedoes, which are faster and deal less damage, but when they hit the target ship, disable her with all her systems for a certain period of time. One should not forget about an entirely new parameter for us, which is the oxygen supply. Keep an eye on its level — your submarines will replenish it at the surface and spend it when they dive. If you run out of oxygen, the submarine will initiate emergency surfacing. Become familiar with the new type, and break into the World of Darkness. 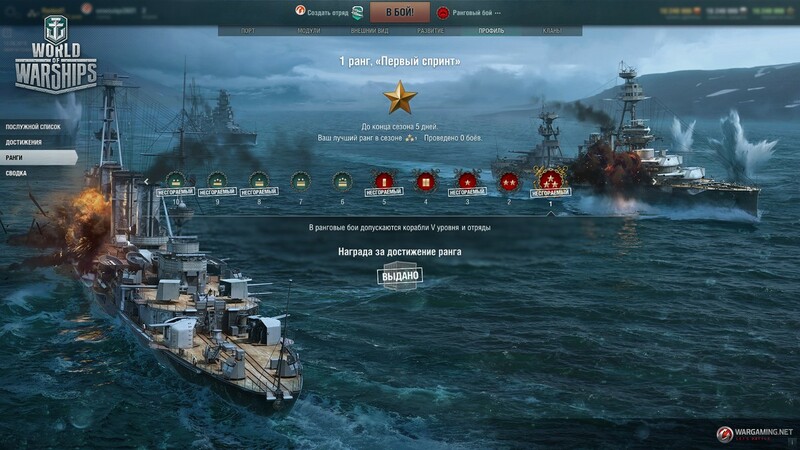 Complete all challenges, with each challenge more difficult than the previous one and face the ultimate foe—Battleship Rasputin. You’ll have a choice of standard or more difficult modes. 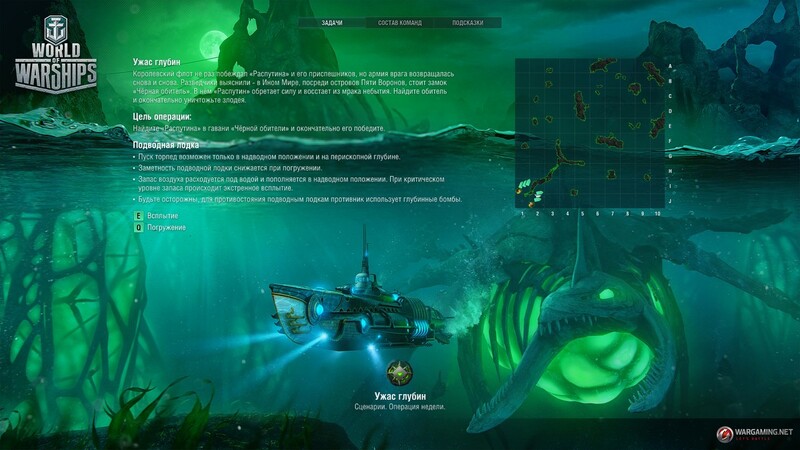 Select the standard mode if you’d like to get familiar with the new submarine mechanics, while a more difficult variant will allow you to truly immerse yourself in the atmosphere of the game. During the public test only, apart from those from previous Halloween celebration that you enjoyed, you will receive new camouflages for the following ships: North Carolina (Leviathan), Kiev (Razorworm), Z-23 (Steel Rat), and the first animated camouflage in the game—Mogami (Octopus). These camouflages resemble your opponents from the new operation; we hope that they’ll be a welcome surprise for you! 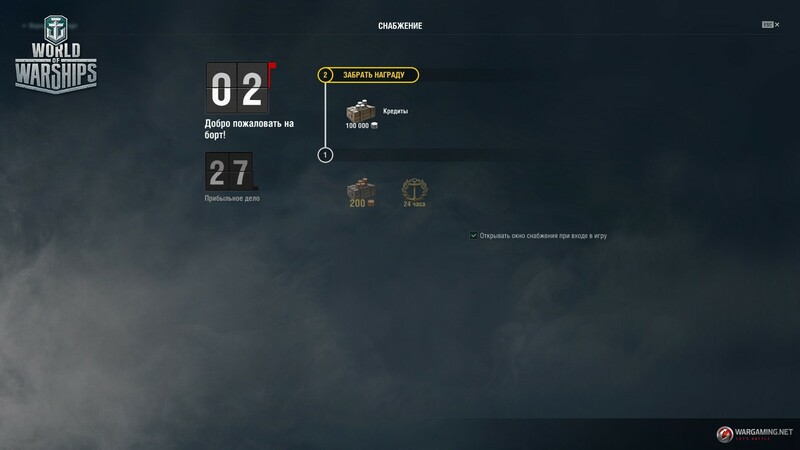 A new format of Ranked battles will become available with the release of the new version, with two short and action-packed seasons, available for Tier V ships in 6?6 and 8?8. Within the season, players will be divided into two leagues: rank 1 to 5, and rank 5 to 10. Join the battle as a Division with 2 players from your league or on your own. One of the special features of this sprint season is that it’s going to be shorter than the main season. The Sea Wolves league will not be available. Though this new format is intended mostly for the new players, all players are welcome to take part in the Sprint. Team up with your friends and good luck! A fresh and pleasant change for players will be new torpedo threat detection mechanics. The purpose of these new mechanics is to reduce the number of false torpedo warnings about torpedoes that are not dangerous. We hope that these warnings will help to improve the effectiveness of your maneuvers in battle. Based on your numerous requests, in the upcoming update, we’ve introduced a “soft” limit of 4 destroyers in random battles. This limit comes into effect when the first player in the queue waited for a battle for less than three minutes. 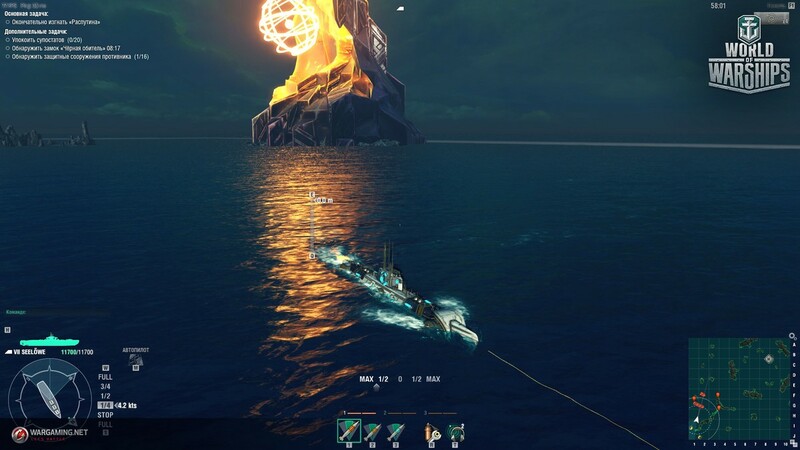 In co-op battles, no more than 4 destroyers and 4 battleships are allowed. We’ve introduced a new section called “Supply”. If you log in to the game regularly, you’ll receive rewards. So hurry and claim your reward! Great, I really love these changes. Especially the task to make “ranked great again”… well sort of.